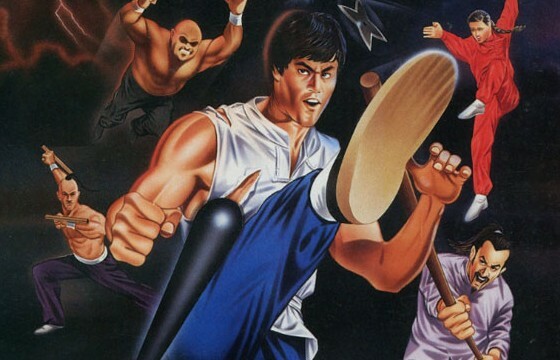 REVIEW: Debuting in 1985, Yie Ar Kung-Fu is a 8-bit fighting game where the main character, named Oolong, fights against various martial arts masters to win the title of "Grand Master" and honor the memory of his father. 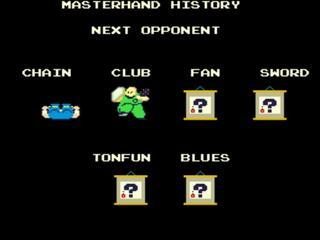 In the arcade version, the player fights against 11 other martial artists (5 to 13 in the home versions). 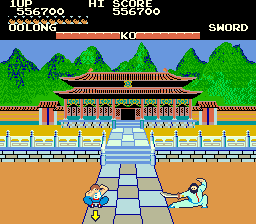 Yie Ar Kung-Fu is the first fighting game to feature a variety of unique martial arts-based characters, fighting styles, and stages. While originally inspired from early Kung-Fu and martial arts films, this basic "trait" of characters fighting against one another in different locations is something that would later be used in nearly all future competitive fighting games. 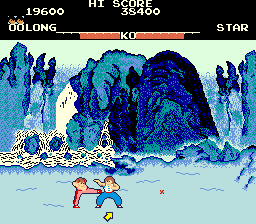 Furthermore, Yie Ar Kung-Fu was the first video game to feature two character life bars at the top of the screen which drained into the letters "K.O"... another iconic trademark that nearly all future fighting games would adapt. Life bars that drain into the letters "KO". 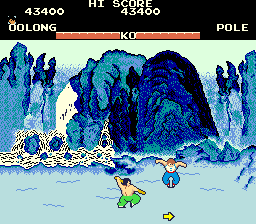 At the time of its release, Yie Ar Kung-Fu was a noticeably colorful and sharp-looking video game. The character animation was indeed eye-catching in 1985 and definitely what you'd call "next gen" for the time. Back then, characters in video games were not known to move so "smoothly" on screen. The unique background environments were also notable and added to the immersiveness of the game. For an 8-bit video game, the characters of Yie Ar Kung-Fu had impressive style and personality, much more-so than most other fighters who appeared in other popular martial arts games at the time (such as Karate Champ). Yie Ar Kung-Fu's gameplay is intuitive and simple. 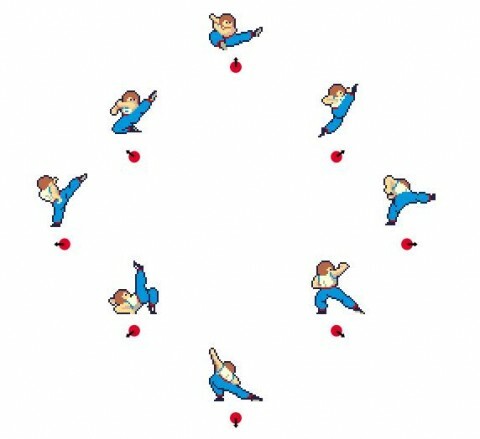 The basic controls include: Moving (left or right), Jump, High Attack, Middle Attack, and Low Attack. Avoiding enemy projectiles and attacks is an important aspect of the gameplay and requires the player to "jump over" said attacks. 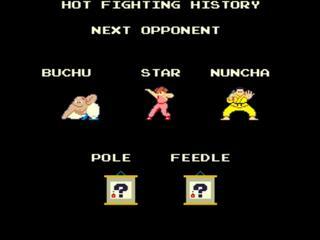 On that note, Yie Ar Kung-Fu featured some of the very first fighting game fundamentals that would later become a staple in future fighting games. Inspiration for the first stage of Street Fighter? The main character Oolong can perform a total of 16 different attacks. CPU opponents have far fewer attacks, but many can use projectiles, weapons, and other tricks. Regardless of the attack that defeats the opponent, male opponents will comically fall unconscious lying on their backs with their legs apart (while twitching their feet), while female characters always fall on their sides. This visual aspect is still a hilarious and memorable trademark of the game, to this day. When the player gains an extra life, the word "xie xie" is heard (Mandarin for "thank you"). 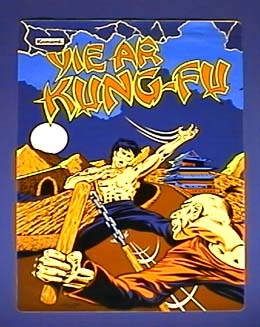 Yie Ar King-Fu became the second best-selling computer game in 1986 in the United Kingdom. After its arcade debut, the title was later ported to the MSX, Commodore 64, Amiga, ZX Spectrum, and NES. 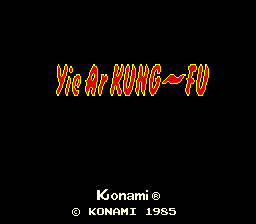 Yie Ar Kung-Fu was later released on Xbox Live Arcade (Xbox 360) on July 18, 2007 with updated graphics, and was included in the Nintendo DS in the compilation, Konami Classics Series: Arcade Hits. 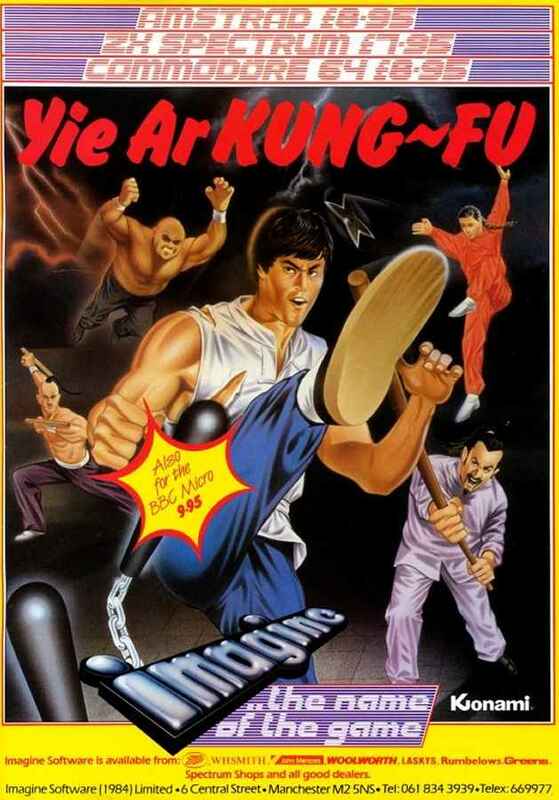 My earliest memories of Yie Ar Kung-Fu were playing the game at arcades in the 80's, possibly while being held by my mother and/or father (and eventually standing on a crate to reach the controls). As an 80's kid, I loved martial arts and I loved Bruce Lee... so Yie Ar Kung-Fu was right up my alley. When the console version came out, of course I had to have it! My father was a computer wiz in the early 80's, so I was treated to the "best" home version of the game at the time... undoubtedly the Amiga port (nearly arcade perfect). Yie Ar was definitely one of my favorite games at the time, and really was one of the only "fighting games" even available for home platforms (AKA computers) at the time. Little did I know, I would grow up to be a fighting game connoisseur/critic, and end up loving fighting games for over 30 years. Hmm, maybe all that practice in Yie Ar Kung Fu actually paid off. Yie Ar Kung-Fu was very much an early Street Fighter. If Konami saw the game's true potential back then, perhaps they could've expanded the gameplay and characters in sequels... and who knows... maybe we would've been playing Yie Ar Kung-Fu: 3rd Strike years later if Capcom didn't take the reins like they did when they released Street Fighter II.